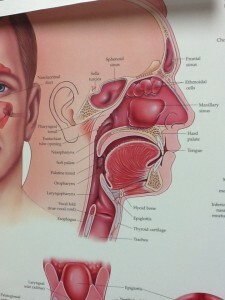 The sinuses, so many patients have issues with these every year and they’re always trying to figure out how to take care of. 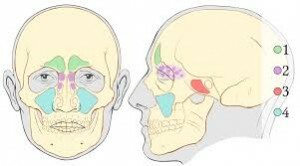 I will outline to you in this article tips and helpful information that I have given to patients over the years. The sinuses are hollow cavities that don’t have the pumping mechanism to rid the spaces of the fluid that builds up when you have sinus issues. 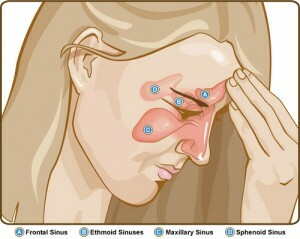 Where there is congestion in the sinuses there is no way of that the sinuses can pump themselves out. So you actually have to help with that! I often show patients how to do their own sinus drainage. Feel free to watch the video that’s attached to this newsletter on how to do that and making use of a laser system in the clinic to. 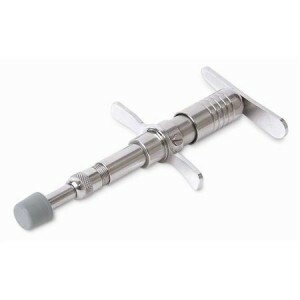 Dependant on the issues you have I do often recommend at home sinus drainage techniques, use of sea salt to drain the sinuses either with a Neti-Pot, Neil Med system or the Nasaline syringe. Dr. Rodwin uses a small version of a laser to treat sinus problems. 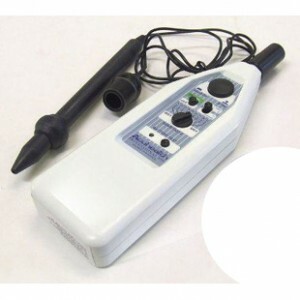 By using this device on the same key points that are targeted in acupuncture, you can breathe happier and feel healthier! 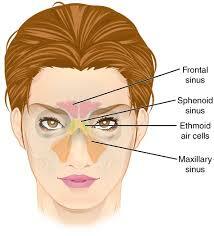 Ask Dr. Rodwin about it if you think that your sinuses could use some clearing up! Watch this video in which Dr. Rodwin explains and demonstrates how she can treat the sinuses in order to help patients with sinus problems and allergies! All you ever wanted to know about your Ribs! Not a day doesn’t go by where I’m not adjusting at least one patient ribs for them! What is the reason for this? The ribs attached to the sides of the spine only with small little ligaments, there is no muscular structure holding them properly. They also attached to the front breastbone/ sternum by small little holding elements and the ribs can actually shift out of place very quickly. Patient s’ seem to put them out of alignment due to sleeping positions, they come in saying they slept funny and it’s not really that funny, posture as a result of leaning forward which places more compression on them, making use of iPads, cell phones, the way they watch television, sneezing, breathing difficulties such as asthma can cause issues with ribs, coughing, sporting activities: running, swimming, biking, skiing, soccer, etc. The human rib cage consists of 24 ribs (a set of 12 bones). They form a protective cage around the organs in our chest and during breathing, the ribcage moves up and out to permit lung inflation. The ribs attach to the thoracic vertebrae in the back and to the sternum in the front. 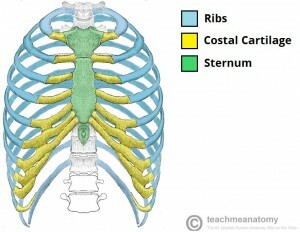 Their attachment to the sternum is via costal cartilage that is flexible to facilitate breathing. Ribs can easily be ‘knocked out’ of place in our everyday activities. Whether it is through playing sports, sitting incorrectly, sneezing/coughing, sleeping or many other possibilities, we may not even notice that a rib is out of place. Your ribs move in 2 different ways and can move out of alignment forwards, sideways, or backwards! When a rib is out of place, you might feel pain, pressure, numbness, or tingling. Dr. Rodwin and our massage therapists here at Back to Health correct rib alignments every day. Not only does this relieve any stiffness, discomfort or pain that the patient might have been having, but it also allows them to have better posture, facilitating more efficient breathing. Do yourself a favor, and make sure that your ribs are in the correct position today by seeing one of our practitioners.